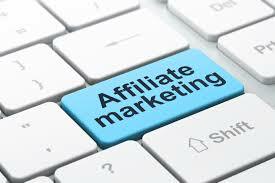 / Why Affiliate Marketing beats your Day Job and any Small Business hands down! Why Affiliate Marketing beats your Day Job and any Small Business hands down! As you may already know 80% of people in United States have a day job they go to every day. Based on 2014 Job satisfaction survey by “The Conference Board” 53.2% of people in US are not happy with their jobs. Most people simply settle and think this is how they should live their life. Others keep on looking to see if they could do something different- maybe start a small business. When you think of starting a small business the first thing that strikes your mind is – Initial Investment and all the risks associated with it. Another fact to consider is that more than 80% of all business startups simply fail. That is a huge number for someone to digest and say: “I will be in the 20% of people who succeed”. Therefore many chose not to risk and keep doing what they do which is – settling for what they have. Don’t get me wrong if you are the one happy with your job/career and making decent income – you are the lucky one, but even in this case you want to be open minded and always think outside of the box. What if there was a way to start a business with literally no initial investment – a solid business, not some Scam and grow that business in to a real income like $100,000 – $300,000 a year or maybe even more. Sounds like a joke? Well if you are the type of person who is ready to work hard then you deserve to earn this much and even more. But first let’s take a look at some advantages and disadvantages of settling with your day job versus starting a traditional small business and finally launching online business with no initial investment. First we want to talk about day job which most people have. Some people call it a day job as they don’t really like it so much but it helps them to pay bills. Others call it career if they either have a degree or obtained valuable experience and climbing corporate ladder. Either way in both cases you have to work at least 3-5 times a week to make sure your pay check is coming every 2 weeks. Of course there are many variations of day jobs. You may work in sales and have commissions and good bonuses or maybe you are a project manager who is very successful and get huge bonuses at the end of the year. The bottom line you are working for someone and the more money you make working for someone the more responsibilities you add on. There are many more points that could be included here but I just listed some key advantages which apply to most people. In reality we exchange hours for money and every person is worth certain amount of money based on their skills, experience, education etc.. This list can get pretty long when I start thinking about it. One thing I know which is very common is: – “Fear of Losing Job”. I heard stories when people worked for many years and got laid off or fired. Imagine if you grew with a company and reached high salary and at some point got laid off. Lots of people cannot find similar compensation and have to settle for less eventually. That is a huge immediate stress for you and your family. Another thing to think about: as your life progresses from college to having a family, owning a property, having kids etc… you keep on adding on expenses and in most cases it’s very stressful to realize that your salary doesn’t increase as much as you keep on adding on those expenses. That’s why when you live pay check to pay check you are very limited to what you can do. You are mostly performing day to day life duties and paying all financial obligations you have which is called: “Modern Slavery” in today’s words. I am sure most of this you already know and it is nothing new or maybe some of this information gives you a piece of mind to look at what you currently do and either reassure everything and continue this way or perhaps start changing something. Now let’s say you decided to open up a small business to start your family restaurant. You can sit down and calculate how much initial investment you need to launch a restaurant. I will use my parent’s restaurant as an example. They opened up a restaurant about 5 years ago. First thing many people don’t realize is that in reality they need much more money to launch a business, you want to have enough funds to solve any unforeseen circumstances. Finally marketing – any business is dead business without proper marketing. Now after five years when everything is running smoothly, there is still day to day headache and what hurts the most is all unexpected expenses that arise all the time. I can never see my parents happy because their restaurant takes their health and energy out of them. This is what is called – Being Slave to Your Business. You will have no time to enjoy the money you earn. 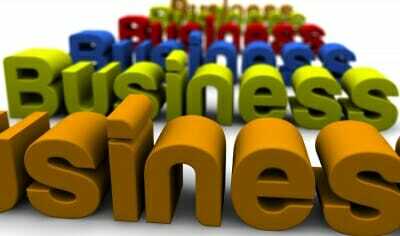 Many people can disagree stating that if business is properly setup and operated well most bad things can be avoided but I can guarantee you that if you ask any business owner if their business is easy. Most business owners would say that business is very hard. It is rewarding in a way but there is no easy money here. Therefore if you have an idea in mind and want to open your own business – think everything 10 times before you do something. Many people have lots of regrets since they make many mistakes in the beginning of their adventure. After all you might be curious what is the business that has no initial investment and has great potential for growth. The bottom line is that it should be a business where you become a middleman. Think about it this way. Someone has a product and on the other side someone wants to buy it – you are the one who connects them together and make commission in the middle. You don’t need to make that product – all you need is to find the right buyer for it. A good example would be: if I play basketball and I tried different shoes to find the most comfortable ones I want to tell everyone that let’s say Nike Kevin Durant shoes are the best. This is where you create a website which does reviews of all different shoes you tried and then talks about KD shoes which you liked. And then you post a link where these shoes can be bought. People will visit your website and will like your valuable feedback and go to affiliate link and buy those shoes – you will in turn make commission from every single sale. You can look at this even deeper and find that you can promote not only products but actual services or subscriptions which will bring you recurring commissions every single month. This is how you build your solid stable income month after month. Now that you understand what is the type of business with no initial investment you can go online and make your research where you want to put your trust and time in. I personally chose Wealthy Affiliate university as my trusted partner. After lots of careful researches I found this to be the only fully trusted business I was ready to fully invest my time in. The first thing I realized is their 100% no hype approach. Don’t ever fall in to the trap where you are offered hype of making millions of dollars online in a short period of time. It is possible though but with some great work from your end. Keep always in mind that you are the one to decide where to put your trust, therefore take your time to carefully research online all the opportunities which fit your personality. I also encourage you to read about my journey before I discovered a nice way to make money online. Please leave me comments if you have something to say or ask.